Upgrade your apartment security with our apartment entry intercom system kit ’ complete with all components required to fully secure valuable property. We offer fully customizable kits to ensure the proper coverage for small units to as many as 250 unit apartment buildings. 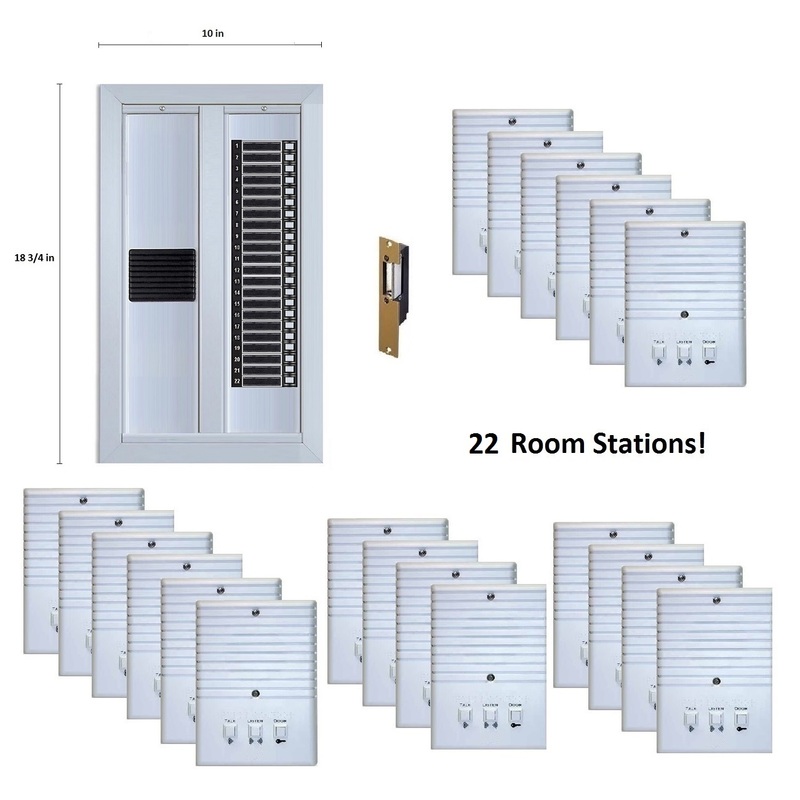 Upgrade your old intercom system or choose this vandal-resistant apartment entry intercom as a NEW security installation to protect both your property and your tenants. Choose the best building intercom available with BEC Integrated Solutions. Our apartment entry intercom system is designed to replace any 3, 4 or 5-wire systems to provide reliable security for apartment complexes, condominiums, and other large buildings. The process for replacing an old intercom system is simple with this apartment entry intercom system. Typically, reusing current wires is possible when choosing our replacement intercom system. Customize your room station intercoms’ sizes to avoid any wall patching. If necessary, wall plates can be purchased in order to ensure the perfect fit ’ without the hassle of hole filling or repaint jobs around the new installation. We offer PVC room intercom stations, but ask about upgrading to stainless steel or brass if needed. When choosing to upgrade your current intercom system, be sure to measure the current lobby panel. We offer standard fit models, but can also customize the size in order to ensure a perfect fit to replace the old door station. Our lobby entry panels are typically made of brushed aluminum, a low cost material ’ but if needed we can upgrade your order to brass, stainless steel or other finishes for an extra cost. Please contact us with any questions and we will be sure to respond with a custom quote in order to meet all of your apartment intercom replacement requirements.